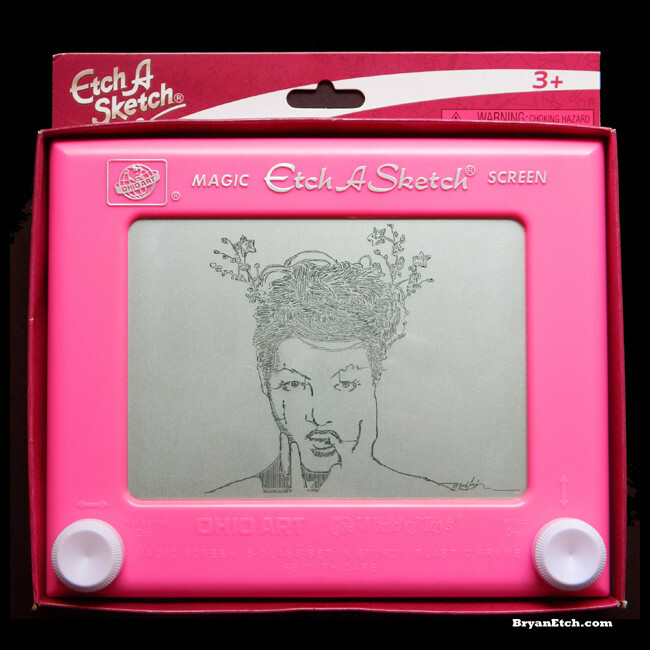 NYC's first ever Etch a Sketch art show and my solo debut! Please stop by if you're around! The detail & light touch help make it so! Kudos to you and your patience!!! Thanks for the nice comments! Truly appreciate it This is one of my favorite etches I've done so far. I've been wanting to sketch Amanda for the longest time and have made a few attempts through the years, but have never been satisfied, until this. 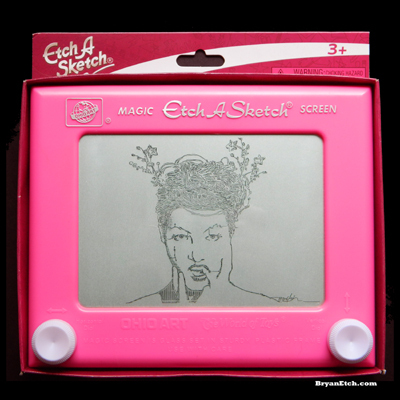 When I bought the pink etch, I knew there was only one thing I could draw upon it. 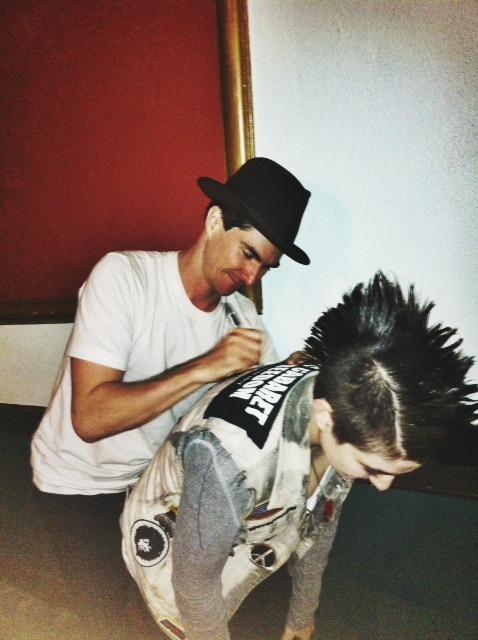 I think it's safe to say AFP is the artist I most admire.